No sign of it yet Rob, talk about a slow boat to from China. I suppose it'll get here when it gets here. I've been amusing myself repairing things here, my freeview satellite box locked up, checked it out, bad power supply caps. then the freeview/ hard drive recorder locked up as well, reason, bad bloody caps again. both working now,I feel quite chuffed about that. Joined the club Today. Assembly was pretty straightforward. Only inconveniece was that all slide switches had most of the pins wonky. I haven't calibrated it yet, just checked that it works, shows the signal and all slide switch positions are registered. Yay Pekka, welcome to the nuthouse club. Thanks. I was surpriced that it worked on first try. I was mentally prepared for troubleshootting. I sill have to find instructions on how to calibrate it and then I'll feed in signl from the signal generator and see how the amplifier works. Time to refresh my memories from electronics. Did you get the kit with the SMD components already fitted or not? If not, did you have fun fitting them? OK, I cheated and bought a pre built one. This way it will at least work and not adorn the bench for 10 years before getting thrown in the bin. Seen a box on thingiverse to stick it all in and I'll 3D print one this week. Only problem I have at the moment is how do I use the thing ? Bought it for looking at the opto output on an encoder to make sure I get nice square waves and to adjust Channel A and Channel B to be spaced by 90 or 180 or whatever. This is on a home made disk encoder and not a sealed unit which will be accurate as sent from the factory. I also have a 'proper' 'scope but it has that many knobs and bells on it that even ower dog can't understand it and he's got an IQ 6 up from mine. Anyways, such a little detail never stopped me. If I understand it right, you have a DIY quadrature encoder that has two channels with 90 degree phase difference and 50% duty cycle each. Normally these outputs are marked A and B. Both produce sguare wave. Challenge is to adjust opto/HAL/whatever couplers mechanically to a correct position to produce 90 degree phase difference? Here, for demostration purposes I adjusted signal generator to simulate those signals CH1/CH2, same wave form, same duty cycle, 90 degrees phase difference, the real scope on background shows this. If you connect either encoder outputs (A/B) against the ground to this one channel scope you should get nearly identical signals. Both channels in isolation should produce "perfect" square wave. Only thing is, that probably mechanics is not accurate enough to produce nearly ideal 50% duty cycle i.e. ON and OFF state signals should be of same length, but probably are not. I does not matter in the end if you use only rising OR falling edges of the signal (i.e. twice the one cahnnel resolution, not 4x), but the signal "looks a little funky". If you connect your single channel scope between hot wires of A and B channels, you'll get interesting signal, that should allow you to adjust (mechanically?) nice symmetry for the signals. This should look like the signal on this toyscope on front on my attached picture here. When you connect the scope input between A and B signal wires, you'll get the product of these signals and the product should look symmetrical. Since you are adding two identical signals that have a 90 degree phase shift. A little "tweak" will show very nicely on the signal and since human eye detects change easily, that sort of signal will produce pretty good adjustment accuracy. The signals could be added with a resistor network or such and utilize the the signal form factor, but then signals should be pretty stable to start with. Was any of this anything you asked? I find the old school analog scope easier to use. From the panel you see all adjustments on one go and nothing is hidden in the annals of menus....Of course DSO:s normally have the magical button that will find tha signal and display it....but then I'll spend some time trying to figure what settings are those numbers on the screen. Hi Rob, did you ever get that airband receiver kit? I finally received the psu for the frequency generator Wednesday. I waited and waited then got in touch with Banggood and they sent a replacement by airmail. I assembled it this afternoon and it works a treat, now to build the freq gen kit. Yes , the Air band receiver kit arrived a couple of weeks back . 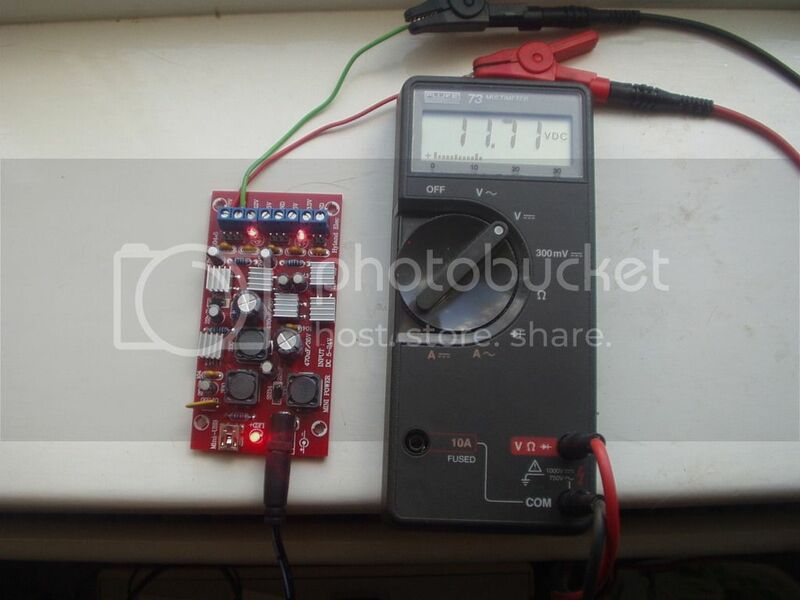 What did you use to solder on the inductors and what's your plans for the signal generator ? Those who have one of these wee DSO may be interested in this case . (1)I assembled the whole thing with my soldering station using a 1.6 mm tip set at 350c. seriously, I always thought it was very vulnerable as it is and I wondered why they didn't have a case. it must be a new thing. My theory is, if you don't have a plan then you can't moan when it doesn't work out. I won't bother posting a pic of it working because it'll look just like Robs pic. It'll all end in tears, I can see it coming. PS, Rob hurry up and build your receiver so I can waste spend some more money. I didn't even realise they were diodes until I read someone on the Banggood forum who put them in back asswards. I thought they were resistors. It took a lot of looking to see the white line. Blind as well as daft. At least I read that BEFORE I fitted them. Yes, Norwich International is about a mile away. the main runway is parallel to the back of our house. luckily, although it's an international airport it's not that busy so it doesn't disturb us much. the prevailing wind ensures that mostly they are landing when they pass us so it's not that noisy. what does drive us nuts are the damn helicopters, we've got police, air ambulance and one serving the oil rigs and they come in from any old direction. the upside is, every time the Red Arrows do a show on the east coast they use Norwich as a staging airport and when they come in they fly across our house at low level before landing so we get a free show. swings and roundabouts I suppose.